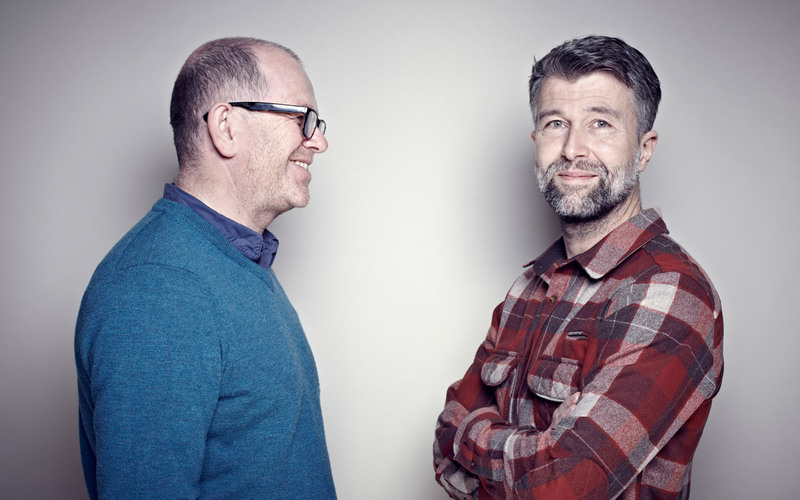 Founded in 1997 out of a shared desire to bridge the often disparate cultures of furniture and product design, Tom Lloyd and Luke Pearson have built a multi award winning studio working across a wide variety of disciplines. In 1991, whilst Tom Lloyd studied for a BA in Furniture design at Nottingham, Luke Pearson completed a BA in Industrial design at Central Saint Martins School of Art in London. It was in 1993, during their time spent studying at the Royal College of Art in London, when their paths first crossed. Tom was studying for an MA in Industrial design and Luke in Furniture design. Before forming their partnership in 1997 they worked separately on their own projects and also as senior designers, Luke with Ross Lovegrove and Tom with Daniel Weil at Pentagram. In 2008, Tom and Luke were awarded the distinction of Royal Designers for Industry by The Royal Society of Arts. Their impressive list of projects is as long as it is diverse, ranging from signage and wayfinding graphics in Accident & Emergency (A&E) departments to the Upper Class Suite for Virgin Atlantic. The Peggy table system for SCP is an adaptable and functional design which is often specified on SCP Professional projects.